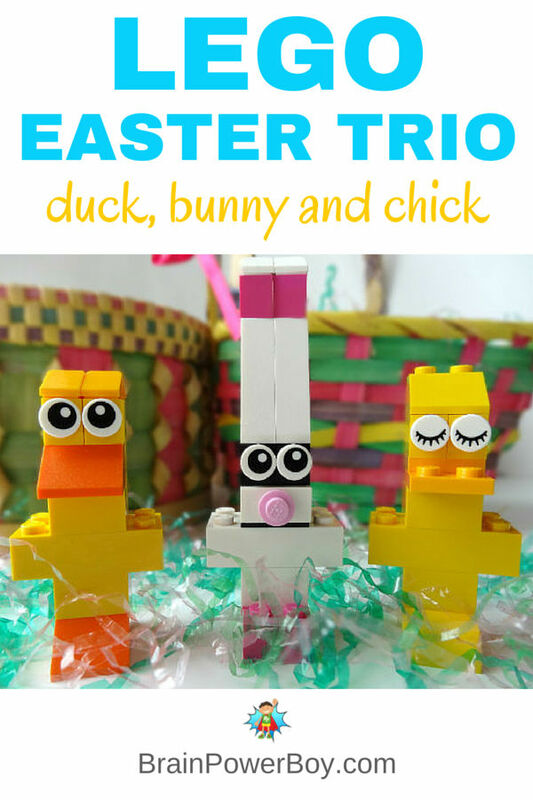 This LEGO Easter Trio is a Fun Project! We made a LEGO Duck and LEGO Chick and a LEGO Bunny this year for our LEGO Easter Designs. This was a fun project for my son and I to work on together. As I said in one of the articles that includes the LEGO building instructions, I set out to make a chick and it turned out to be a funny duck instead. That is how the trio of Easter designs got started – all because of a bit of a design flaw. Here is the link to all of the LEGO Designs on the site. There are LEGO Easter designs from last year too so pop over and check those out as well. 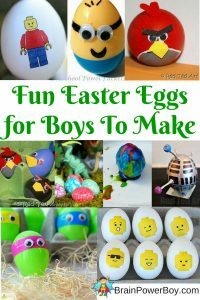 Even young kids can build these LEGO Easter Designs because they take a minimun number of pieces and are super easy to put together. We put together this video of the LEGO Easter bunny being made. Here are the links to get to the building instructions for the individual Easter LEGO designs. We hope you enjoy making them! Easy to Make LEGO Easter Duck – this little duck is so funny and it is super easy to make. It only take a few bricks to build him. Make a Cute LEGO Easter Chick – oh so sweet the little LEGO chick is built with only about 10 pieces. How simple is that? 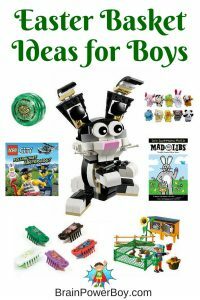 Make a Funny LEGO Easter Bunny – our funny bunny is very amusing with those super long ears and cute pink nose. 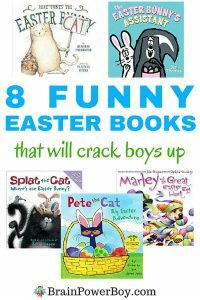 Easter Basket Ideas which is filled with wonderful ideas for filling your boy’s Easter basket, Easter Eggs for Boys to Make includes totally awesome Easter eggs that boys will actually want to make, and Funny Easter Books for Boys is filled with silly books to crack your boys up – and get them reading. What cute little critters! I’m sure my children will be hopping to get their Lego ready for Easter when they see these! Aw, thanks Crystal! Hope the kids like them. These are so awesome!!! I love it! Cute ideas! I will have to try these with my son! He loves Legos!